February 2013 ~ I Can Do That! I cooked this soup a month or so ago but I went on a break from the blog at the time. 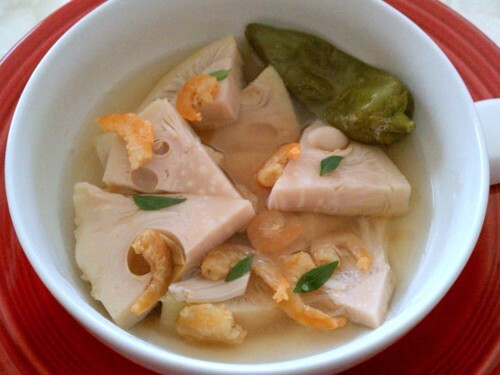 I got the recipe, Sinampalukang Langka (green jackfruit in tamarind broth) from Yummy online magazine. I thought at first the ingredients are a bit unusual but I'll eat any sour soup flavored with fish sauce. I like its uncomplicated flavors and will make it again for sure. Fresh green jackfruit is not available here in the US. I buy the Thai canned ones whenever there is a need for it. If it's available, use the fresh ones. Green jackfruit is a good ingredient for vegan recipes because of its texture and ability to absorb seasonings. Kulinarya Cooking Club challenge is finally back after a loooong break. The food chosen by Trisha is salted duck egg, called itlog na maalat (salted egg) in the Philippines, a long-time favorite side dish. I haven't met a Filipino who has not eaten salted duck eggs or doesn't like them. The eggs are usually served simply sliced with chopped fresh tomatoes. There are various Philippine heirloom rice available to buy online but I find the prices of the rice too steep. I had to settle for the cheaper, at $10.00 for a 5-pound bag, Thai red rice which are sold in nearby Asian grocery stores. Thai red rice is a long grain non-glutinous rice similar to brown rice but the color of the bran is red. According to Wiki, only the husks of the rice grains are removed during the milling process, retaining all the nutrients, vitamins and minerals intact in the bran layer and in the germ. 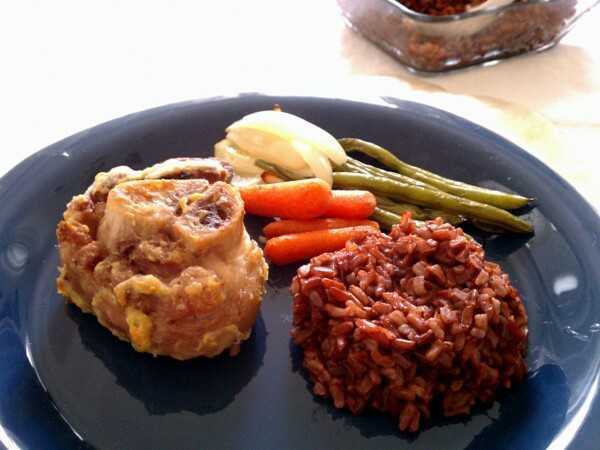 Red rice is a good source of thiamine, riboflavin, fiber, iron, and calcium. Bacon! 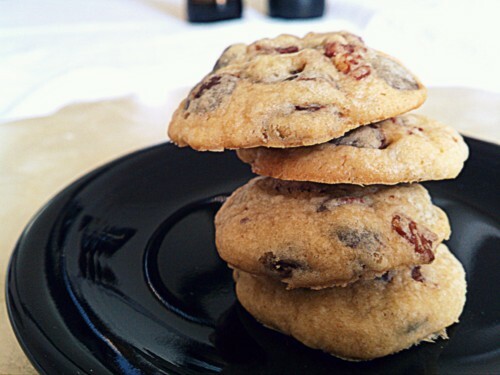 Yes, these cookies have crispy bacon chips and they go really well with extreme bittersweet chocolate chips. When I read about these unusual cookies I just had to make some. They are not too rich nor greasy; they're sooo good. We've been addicted to mochi ice cream since we first tried them 24 years ago. Nowadays we buy a variety of sweet filled mochi called Daifuku from the Asian store but mochi ice cream is still our favorite.